£5 saving off the normal price. 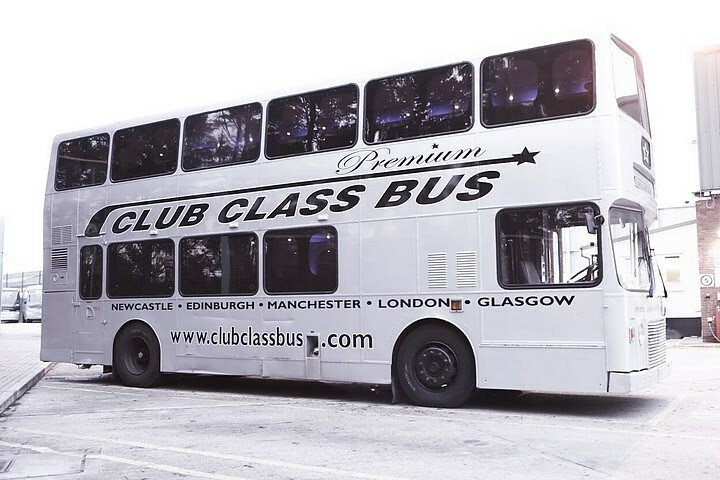 You will start the night off by being collected from a city centre bar by our fully uniformed crew on our premium double decker bus- (Club Class Bus) The atmosphere will be set with the party lighting and state of the art sound system. While you enjoy the comfort of our red leather sofa style seating our crew will be on hand to look after you. 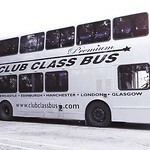 We will transport you to 2 great bars and then onto a top nightclub with free fast Q-jump entry. Alcohol (but not in any glass bottles or containers) is permitted on board the bus for this tour. Please meet at the designated bar at 18:30 for a departure at 19:00/20:00 (if you are having the meal before hand we will collect you from the restaurant). Please wait in the bar prior to departure and Cabin Crew will come in to greet all groups. Min numbers of 30 must be booked and paid 28 days before the date. Book now to avoid disappointment spaces fill quickly!